Marketing Information HON Flagship pedestals are the best available at any price, with a rugged steel framework that stands up to stress. 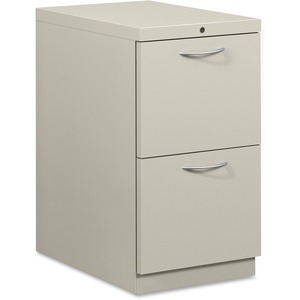 This 22-7/8"D pedestal has two file drawers and is ideal for managing active records. Includes Satin finish arch handle. Finish color is Light Gray.